Life’s Cheap Thrills is about to reach 10k fans and is celebrating it with a HUGE giveaway! If you think your readers would love to win this amazing watch pictured above, join us now! 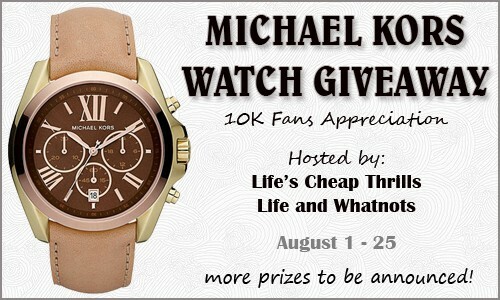 Sign up ends at 11:59pm EST on July 8, 2012.